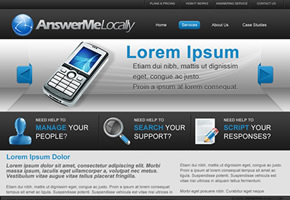 AnswerMeLocally provide a worldwide telephone answering service to its customers. 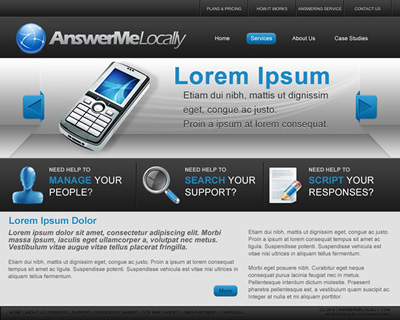 Operating in a new, high-end market, they wanted a web site that was very modern, which used the latest technologies. This design was buit using several jQuery effects to control the sliding banner area, the layout, submission forms and to track users movements around the site. The site is also iPad and mobile device compatible.